Electric fat tire bike is more than just a simple traditional bicycle. It is like a scooter with less speed and more facilities. They can enter any lane or sidewalk which is not possible with the traditional bicycles. When the product was primarily launched it quickly got the market because of the benefits and features of these cycles. They are especially designed to grip well while cycling in snow. But even after that it was seen that the traditional bicycles were given more preference by some people because of the fact that they did not had much idea about the electric fat tire bike. Therefore, it is important to know the advantages of the bike before deciding on which one is better. The first and the basic advantage of electric fat tire bike is that they do not require paddling like the traditional bicycles. Although there are paddles given but it is only for use if in case the battery runs down someday. So it can be said that it is very comfortable and gentle on knees and joints of the lower body. And because of the very low speed, this is often safer than any scooter or bike for that matter. It is a saviour for those who cannot ride a bike or a scooter nor a car and are unable to paddle the traditional cycles because of joint pains. The electric fat tire bikes are just the best for them. And the most notable advantage of the electric fat tire bike is that they are eco-friendly and of course cheaper, comfortable options. Because they run on battery they do not harm the environment as scooters, bikes or car do. So if someone who cannot ride a bicycle wants an environmental friendly and economical option, then electric fat tire bikes are just perfect. You will not require much effort in going uphill. So why wait? 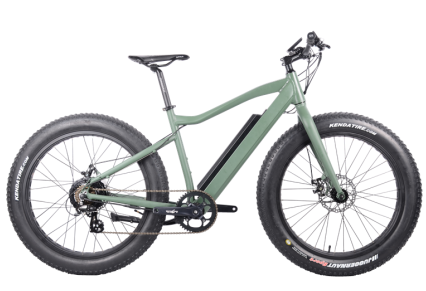 Electric fat tire bike has a huge benefits and owning one can certainly get you cleared about why to simply use them.